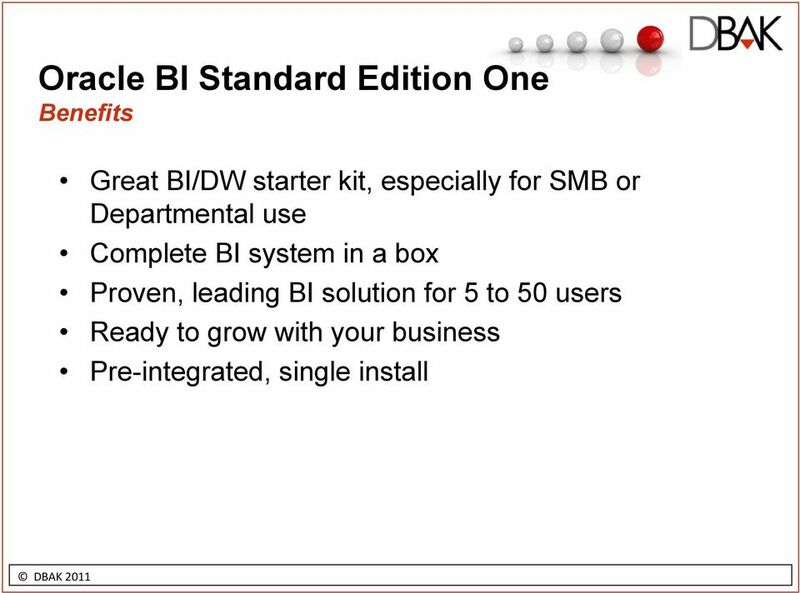 Download "Getting it Right: How to Find the Right BI Package for the Right Situation Norma Waugh. 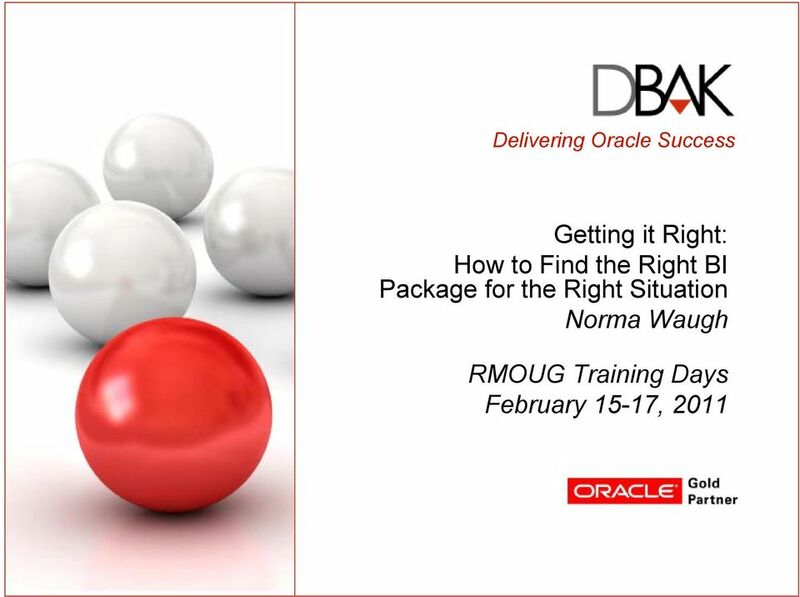 RMOUG Training Days February 15-17, 2011"
7 ???? 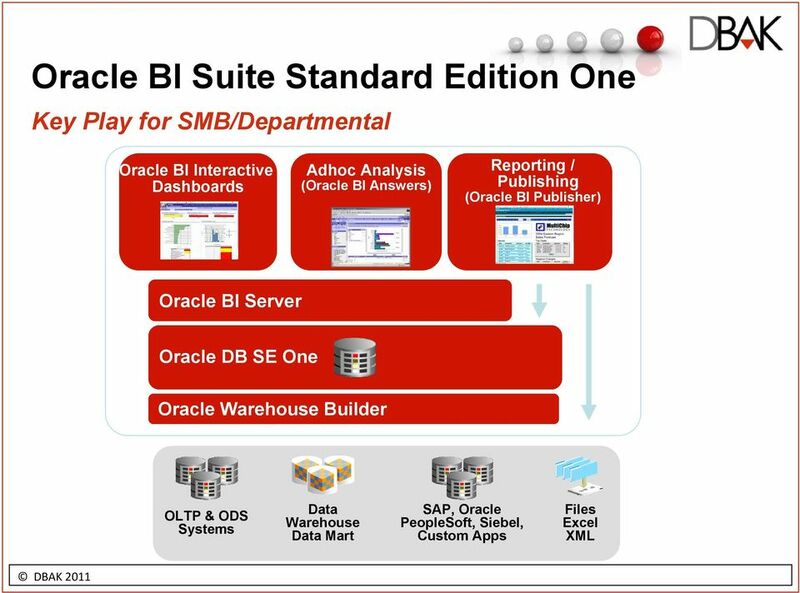 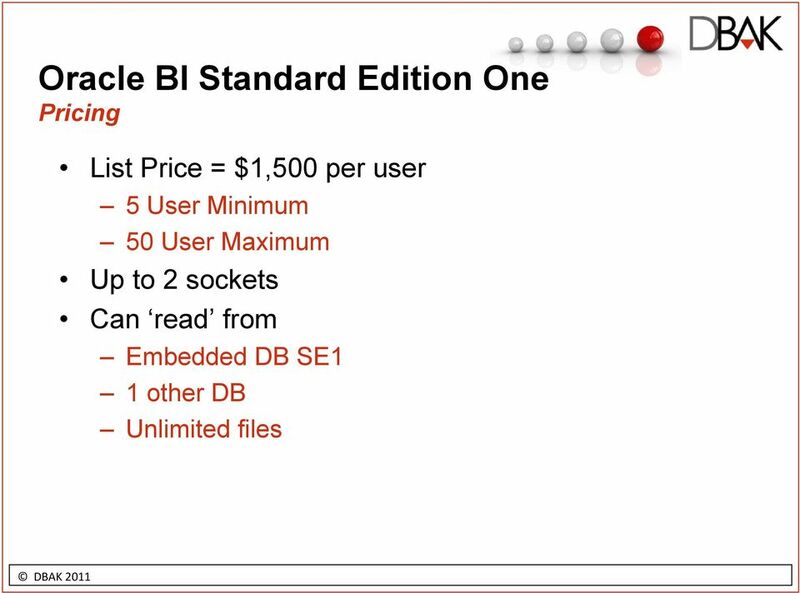 Oracle BI Standard Edition One???????? 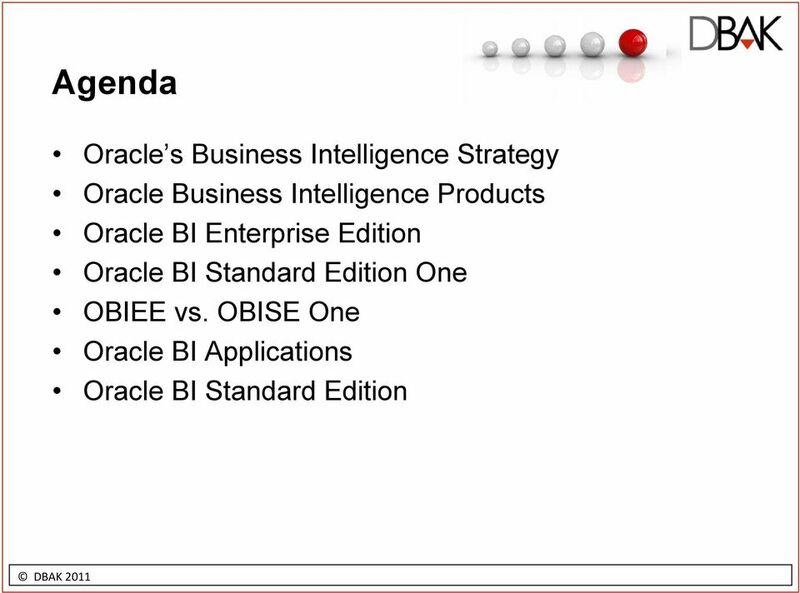 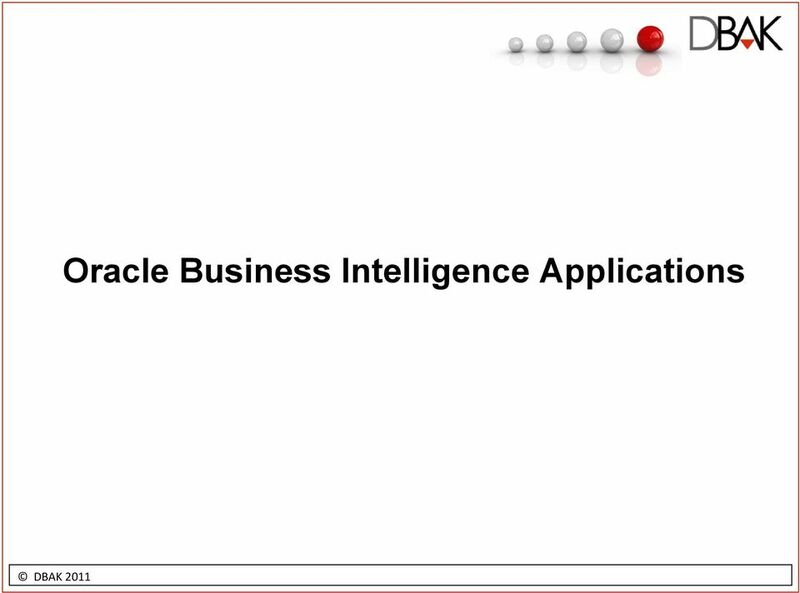 Oracle BI Applications???????? 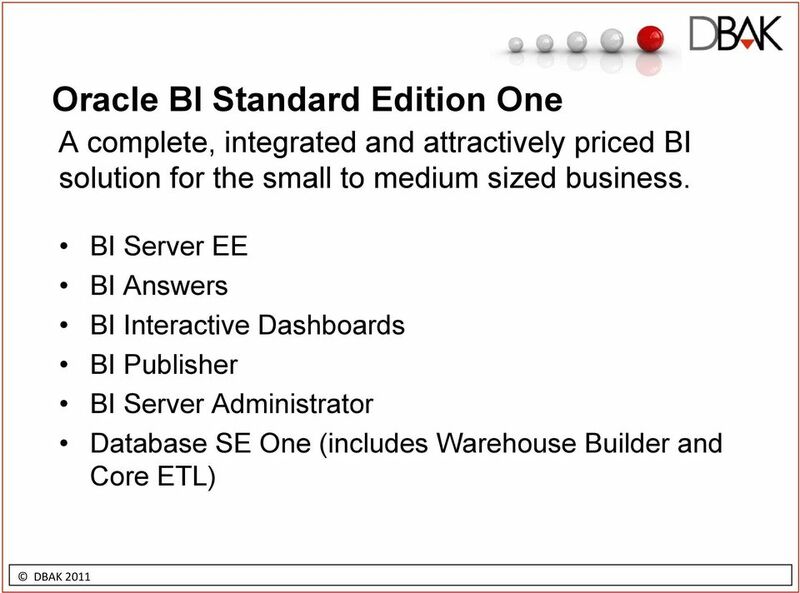 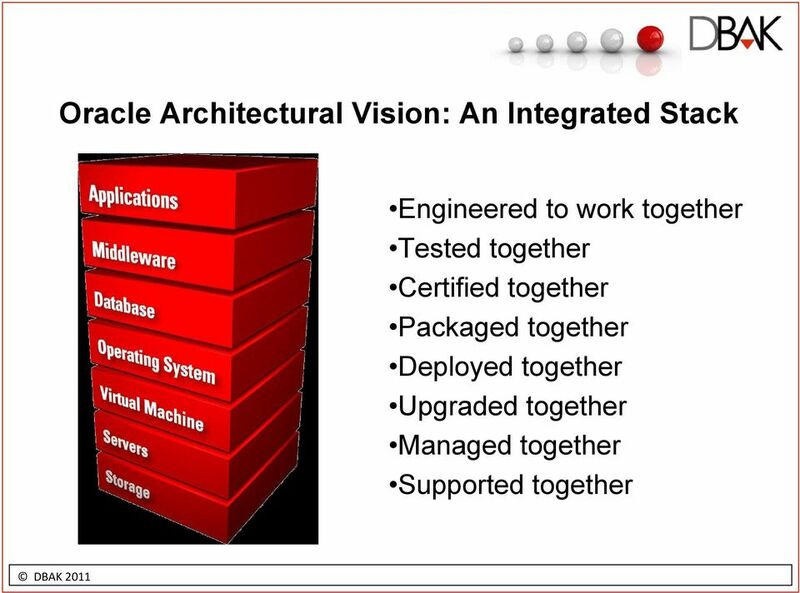 Oracle BI Standard Edition???????? 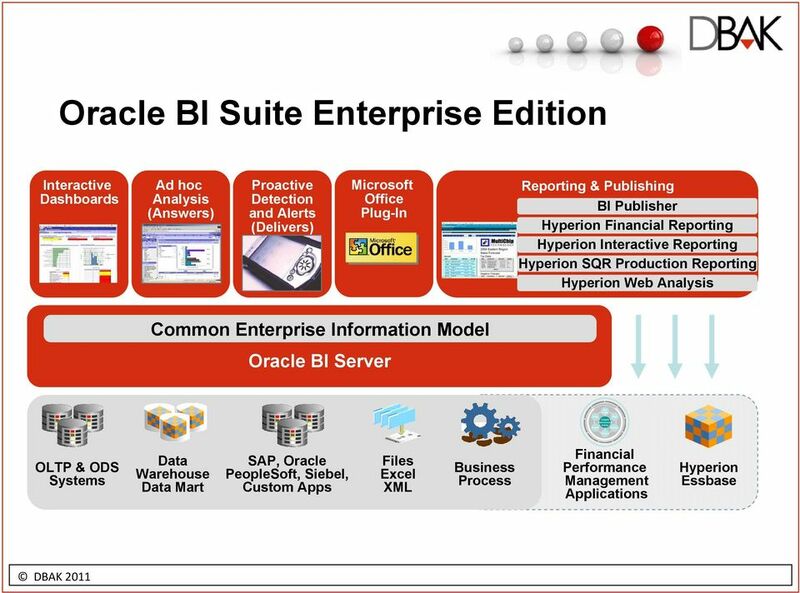 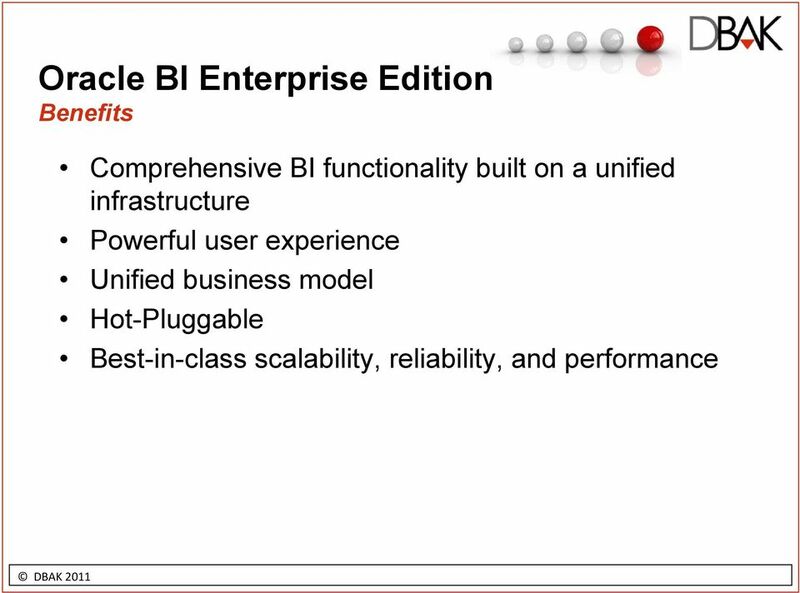 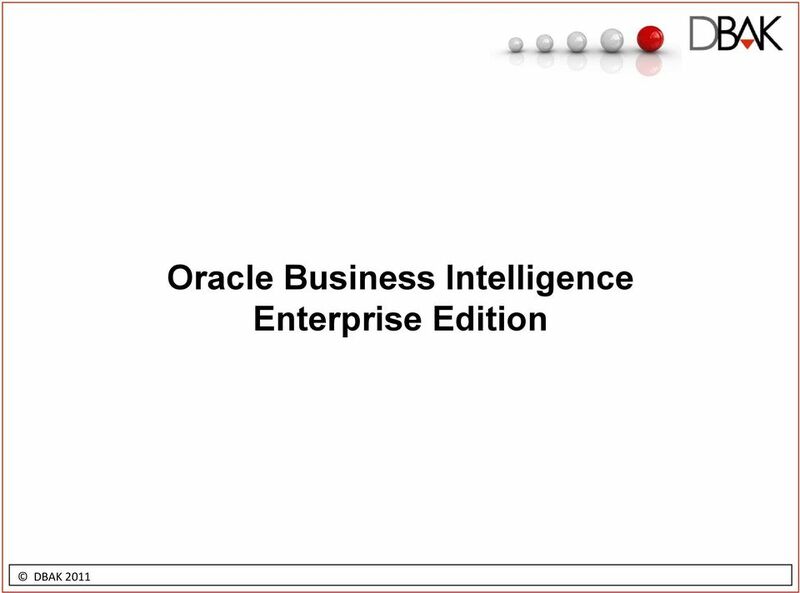 Oracle BI Enterprise Edition???? 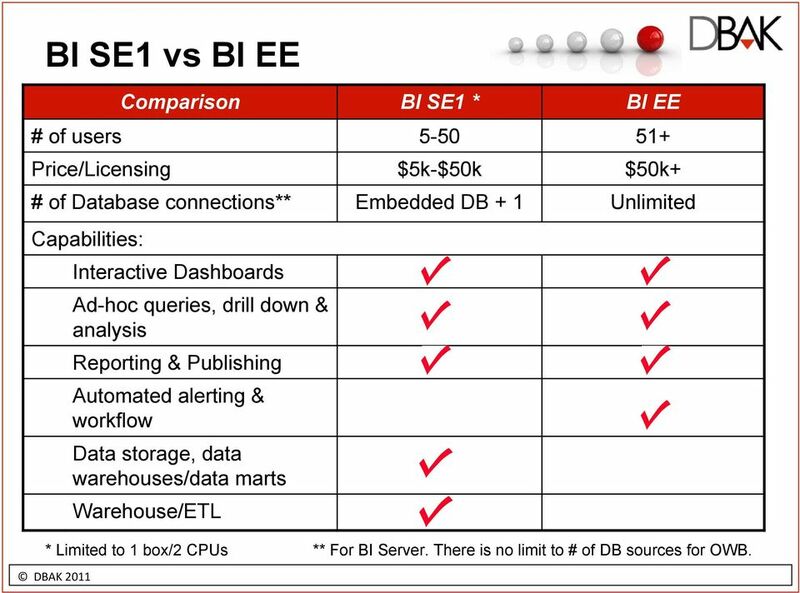 19 BI SE1 vs BI EE # of users Price/Licensing # of Database connections** Capabilities: Comparison Interactive Dashboards Ad-hoc queries, drill down & analysis Reporting & Publishing Automated alerting & workflow Data storage, data warehouses/data marts Warehouse/ETL BI SE1 * 5-50 $5k-$50k Embedded DB + 1 BI EE 51+ $50k+ Unlimited * Limited to 1 box/2 CPUs ** For BI Server. 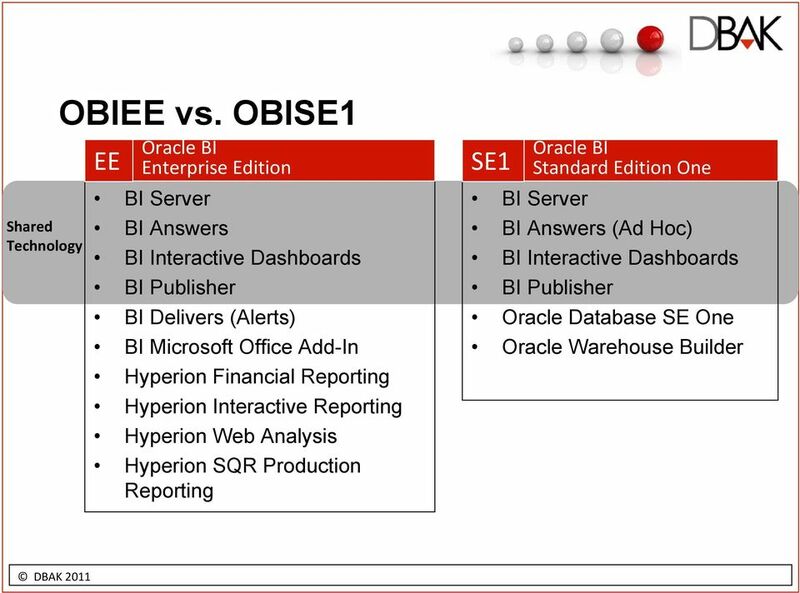 There is no limit to # of DB sources for OWB. 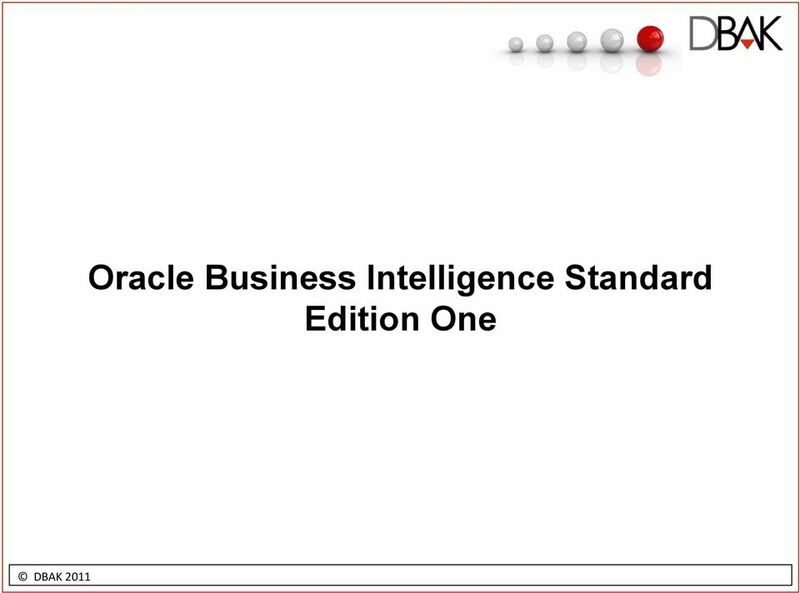 30 Getting it Right Requires Understanding! 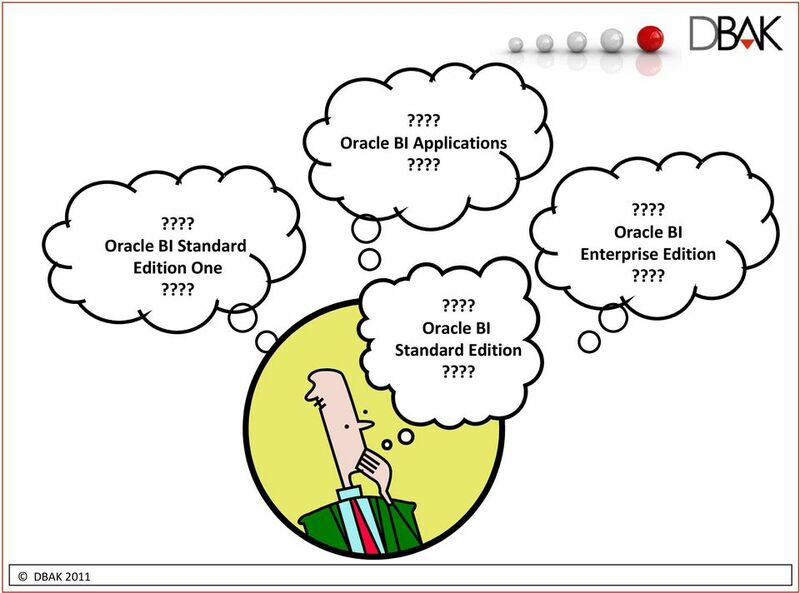 Oracle OLAP What's All This About? 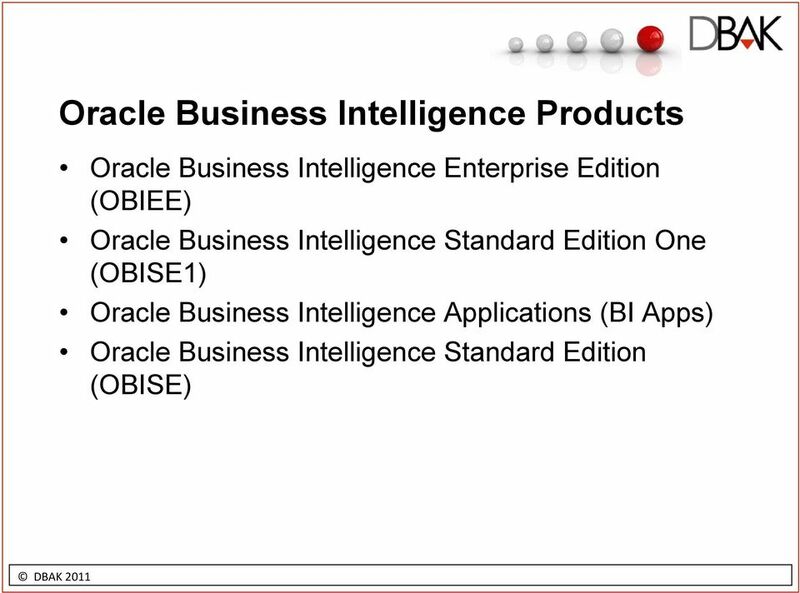 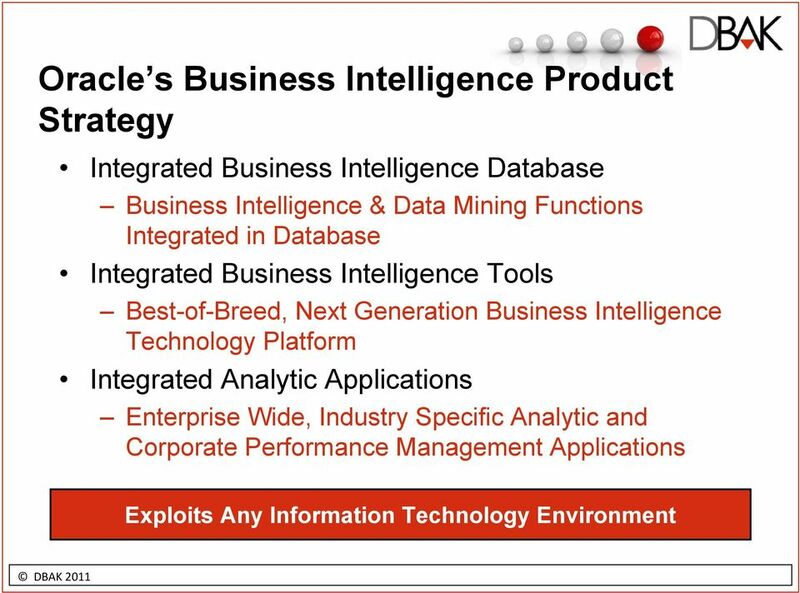 Oracle BI Applications. 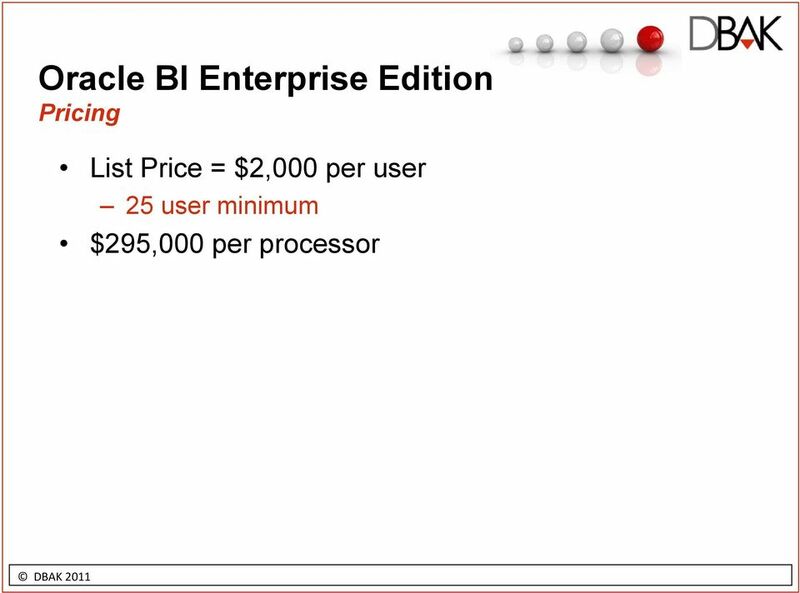 Can we make it worth the Purchase? 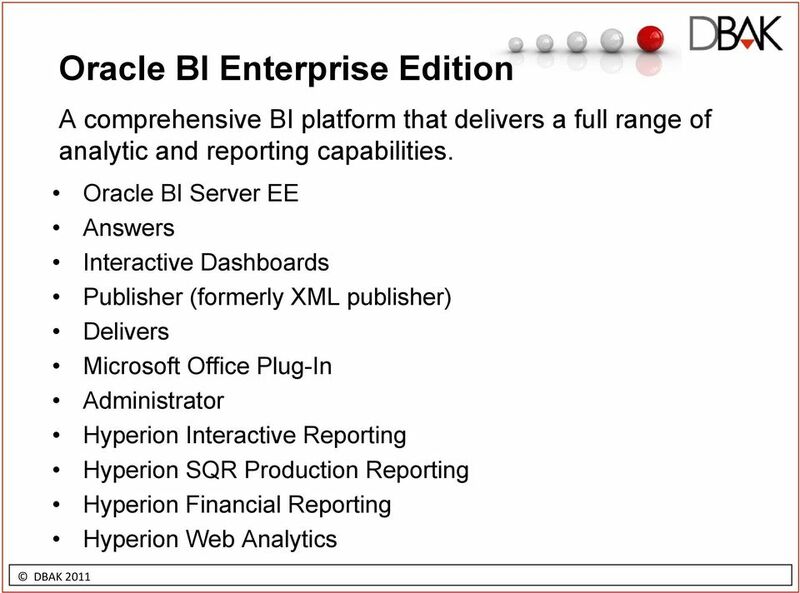 Reporting component for templates, reports and documents. 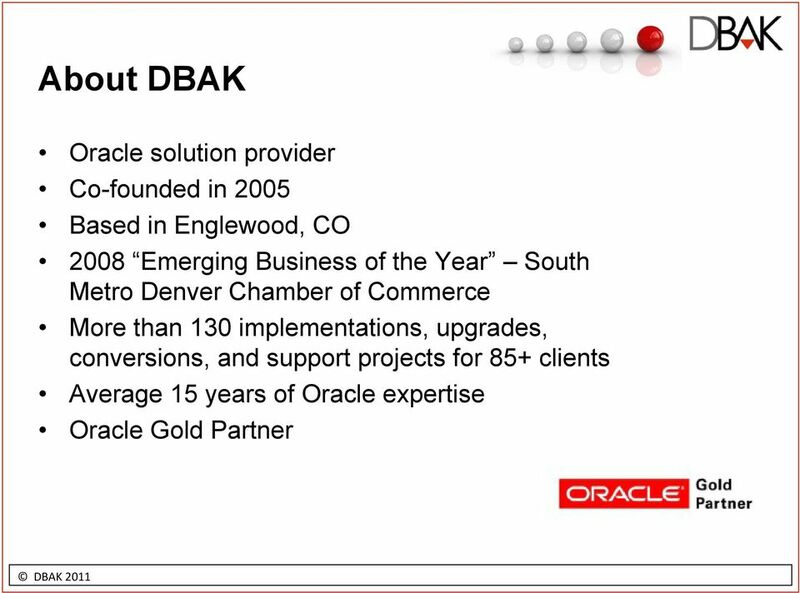 Formerly XML Publisher.